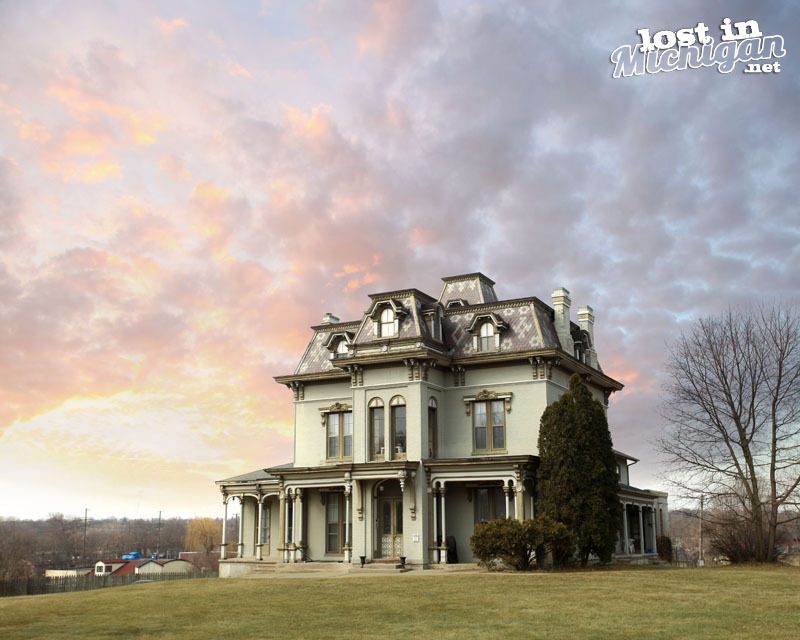 This old historic mansion sits on top of a hill overlooking the railroad tracks that pass through Ypsilanti. The second empire style house with its mansard roof was built in 1861 by John Gilbert. He mad a fortune in the lumber industry. The house has a four-story tower on the back side that overlooks Ypsilanti. The house sat vacant and boarded up for many years in the 80s but has been recently restored and turned into apartments. You can see a before and after pic along with many other houses and building in Ypsilanti HERE. It’s really interesting to see the changes made to Ypsilanti over the years.